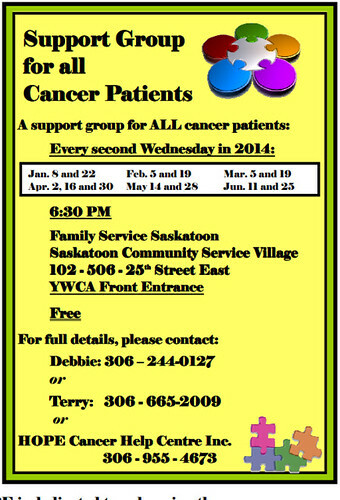 CanCope is a support group for all cancer patients, held every second Wednesday in 2014. 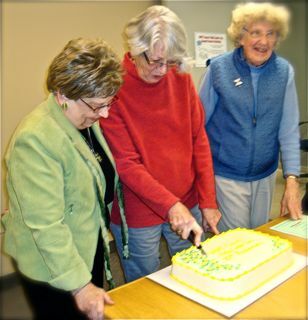 Meetings begin at 6:30 pm at the Saskatoon Community Service Village #102, 506-25th Street East (YWCA Front Entrance). There is no charge for attendance at the support group. For full details please contact Debbie at (306) 244-0127 or Terry at (306) 665-2009 or HOPE Cancer Help Centre at (306) 955-4673).